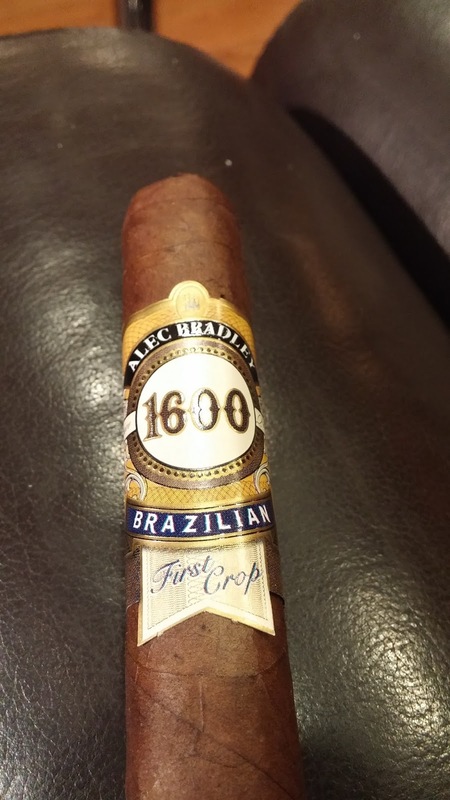 Background: The Alec Bradley 1600 Brazilian First Crop line gives a nod to a bit of history – namely when tobacco crops were originally cultivated in Brazil. It’s an interesting homage for AB to be making but an important one given the overall spread of tobacco throughout the world. This particular offering is a Famous Cigars exclusive, so if you’re looking to get your hands on one you will only be able to find it there. 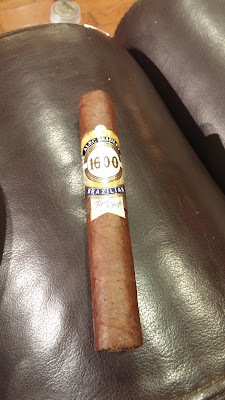 Appearance (0-20): The habano wrapper on the outside is nice, dark, and oily. The core veins aren’t anything of real note and there aren’t many blemishes to speak of beyond a couple of small divots. So far so good. The band is big and bold against the darker backdrop in gold, white, navy blue, and black. One might actually consider it to be a bit gaudy. The 1600 portion of the band takes up a large amount of the real estate and is flanked on the top by the Alec Bradley logo and name and below the proclamation of “Brazilian”. An additional flange below is the more ornately structured portion which is where the “First Crop” language is written. Construction (0-20): Nailed it. Everything feels well packed from the initial feel and it has no issues that I can see. The cut revealed no debris and the pre-light draw is perfect. Lighting it up was quick and easy and the draw remained consistent throughout, providing a relaxing smoke that burned nearly perfectly. The ash held solid for multiple inches. Strength (0-20): The robusto vitola is billed at a full strength. I feel like it seems to hang around that area but doesn’t quite nail it. Close. It’s a hair below and peaks into the full strength category at points but won’t stick it out the whole time. Flavor (0-20): The initial light gives off a really nice woodsy backdrop that is balanced with a bitter creamy coffee. There is a lingering sweetness that reminds me of dark chocolate and some earthy tones. Slight spice on the retrohale is evident but it doesn’t overpower the other flavors… and actually seems to enhance them to a certain extent. 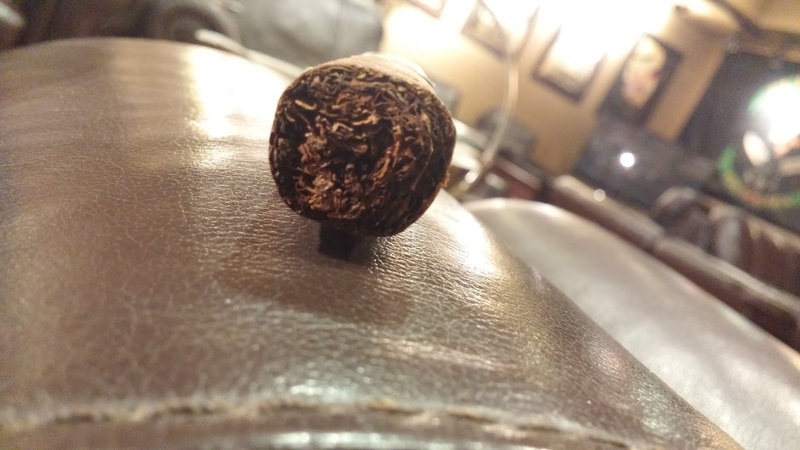 This continues through the majority of the cigar with some additional complexities being added in terms of flavor – there’s some leathery flavors and something akin to nutmeg. When the final portion begins it seems like the leather comes to the forefront with additional sweetness, while many of the other flavors drop into the background, but they still reside in the profile. Expect that pepper to give a bit of a push toward the end too. Really well done. 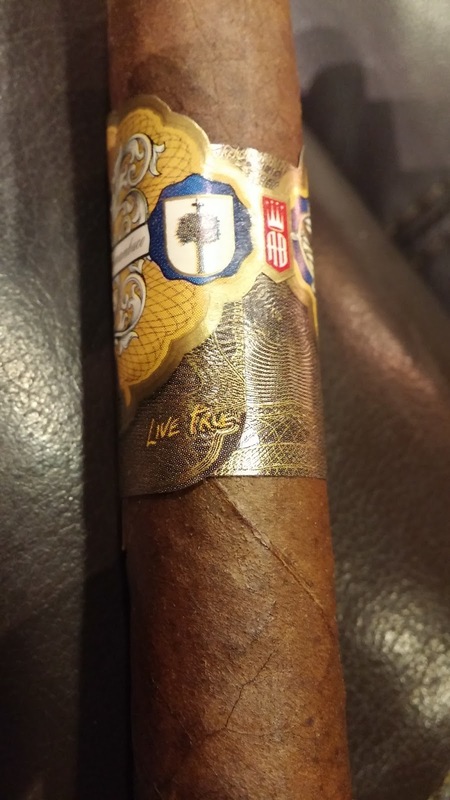 Value (0-20): For under $6.00 a stick, this could easily become a go-to cigar. The price is right Bob Barker. The price is right. Additional Notes: Provided by the folks at Famous Smoke Shop. Paired with water. Overall (0-100): Alec Bradley’s offering here is a solid one with very few things to gripe about. It’s a shame that the strength doesn’t quite get there or else this one would sneak into the 90s pretty easily. That’s the only misstep at all though. 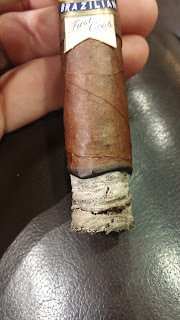 Here's the simple portion of the rest – the band may be a little large but is well done, and the construction is outstanding.The flavor profile is a really rich and luxurious one, with deep coffee, wood, leather, and earthy flavors. Everything plays very well together and it even melds in the right amount of sweetness and spice. The complexity is certainly there. Put that together with the price being under $6 and you are looking at one that is absolutely worth the money. Give this one a try.